As I realized, since the late 1980's, that the world didn't revolve around me and that I had a greater purpose on this earth, I considered what I could give back to make a difference. By the 90's I felt like I had very little to offer; little money, my talents were gone and I was either in a wheelchair or barely walking. What could I do? Who would listen to me or let me help them? How could I make a difference for God? I found an answer in a book I read called Experiencing God. In it, one of the first points that he made to experience God was to find out where God was working and join him! That led me to the question, "Where is that and where do I start?" As I looked around, it didn't take long to understand the answer is all over the place! That is how I started serving. I didn't start a new program or try to reinvent the wheel... I just started showing up where I thought I saw God working. For me, I just started showing up at our church youth events and asked the minister how I could help. 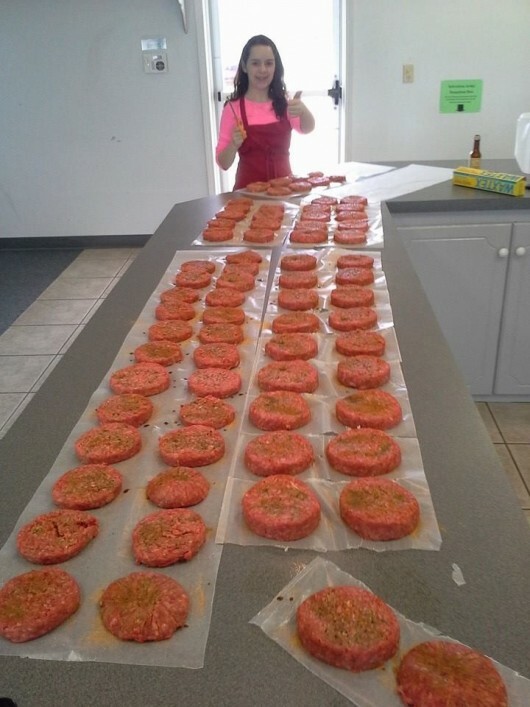 I showed up early on Wednesday nights and asked the person making the church meal how I could help. I showed up at the community Christmas give away for underpriviledged people and asked how I could help. And so on. Was it akward...yes, yes it was. Did I have any cooking talents? No I did not. Does a twenty something using a walker draw strange looks from youth? They were pretty cool with it (I had a good what happened story) but the adult leaders felt akward. But I did find out there was plenty I could do. Turns out there was a lot I could do. Maybe not the first day, or week. But I found ways to help, meaningful ways. I made mistakes. But they were small. It led me to believe there was nothing I couldn't do. Not because I was something special or talented; quite the opposite. When I thought I was in the world helping to grow God, He was using the world to help grow me. In that process, He also used me to grow others and bring them to Him. I discovered new talents, strengths and gifts that He had given me that I could devote to him. As I mature in Christ over the years, I am able to hear God working and where he wants me a little better.That is what enabled a partial quadriplegic to bicycle 180 miles through Oklahomah in 3 days for Focus on the Family. That is what enabled a sick man to lead mission trips both here and abroad over the years. That is what enabled a person with 3 working fingers to play bass in a church praise band. That is what enables me to spend time with a cranky neighbor offering encouragement. Some are small...some are big. We all lead lives and raise families and suffer roadblocks that make us want to turn inward and worry about just our own needs, our own ideologies or our own issues. But no matter who you are and what your circumstances are, there is a place and a need for you to serve and make a difference. From a selfish standpoint, it makes your own life better. If your neighbor's lawn is mowed you like your street better. If your community and it's members are cared for and doing well, you pay less to the government...etc. If you really want to change someone's ideology, don't blast them with those not so subtle posts on social media, go serve them and convert them. Let them see why you have something they need. Many people need to come into contact with changed lives rather than social media condescension. From God's standpoint, you spread the Gospel. Coming in contact with people serving lets people see God in you. Jesus himself said I do not come to be served, but to serve. He met needs. He can use me to meet needs. And He can use you..
Medically speaking, it’s safe to say my life has been a challenge the last 27 years. Some medical issues I feel are a personal burden between God and me, so I don’t share much about them at this point in my life. Some that I do share about are; severe nervous system damage from a broken neck, infection problems sometimes requiring years of IV antibiotics, joint replacements in my neck, knee and feet as well as a constant battle to learn to walk, wounds that won’t heal and fingers that don’t work. But I can say, without reservation, I am thankful for who I am. I am thankful for THIS me. This can be perplexing to some when I mention that, but I think it is because we don’t give thankfulness the importance in our life that we should. As it stands, I think giving thanks has lost much of its meaning, especially before the material and emotionally draining “Holiday Season Celebration” consumes all of our time with parties, events and the search for an emotional feeling about the goodness of mankind. Then, it’s gone and we are left with a train wreck that usually takes the form of a much needed rest and a credit card statement that leaves us wondering how we will get it paid off before the next holiday. That leaves our thankfulness as a few moments; moments of prayer before a big dinner, or, during the climax of a church Christmas program, or, possibly a few moments stolen to be alone and reflect about the condition of our lives. I believe this is what leads to much of the discontentment that we see in the church and the world. But one thing I have learned is that this doesn’t even scratch the surface of thankfulness. Thankfulness, like love, is not just an emotional feeling. Many miss the tremendous influence it can have by only experiencing momentary periods of thankfulness, before re-entering the worldly drudgery with its strife, discontentment and continual lust for more. True thankfulness is more of an action word which manifests itself in the way we live 12 months a year. Most people express the mere momentary emotional reaction when certain events trigger it, such as a kind gesture or a cleverly produced television program. But those are temporary and do not usually, by themselves, produce the deep thankfulness that characterizes a changed life. We always wonder why; why do I have to struggle with weight issues when others don’t? Why don’t I have the resources that others do? Why don’t I have the family life that others do? Why can’t my walk with God resemble what is popular among my peers? We sometimes lose an appreciation for what we do have because instead of comparing what we have with what God wants us to have we compare with what others have, whether others are the people around us or even something created by media sources. It may seem strange to use a passage of Scripture addressing judgement to highlight thankfulness, but one of the things I take from this is a freedom to choose. Here is God, who created me, the world and everything in it saying I have a choice to follow His will, or, to follow my own if I think I know better, and experience the consequences. I am not a robot. He doesn’t force Himself on me. I am free to receive His love. I am neither worthy, nor qualified to possess this freedom of choice, yet He gave it to me, knowing how bad I and every other human would screw it up. Unfortunately, with that freedom comes consequences in the form of sin. With sin, comes the consequences of death. There is nothing we can do about that. No amount of sorrow or good deeds or days in church can fix what we have chosen. But, in His infinite love, He sent His Son, not to condemn us, but to rescue us, something we were unable to do ourselves. Even though we all have openly turned away from Him, He still loved us. So not only did He lovingly clean up our mess that our choices created, He has given us a purpose in this life. We don’t have the need to just sit idle while we await God’s plan to unfold. He wants us to be a part of it and we are designed to produce specific results that will show His love to other broken people. I struggled with being thankful for a long time. Because I was handicapped, I struggled to do the simplest tasks; sometimes I still do. This handicap would cause many people to look at me and treat me as a person not able to succeed in life. It has been a tremendous mental challenge and many are the days when I just want to quit or just try to get away with doing the minimum needed to survive that day. Who would care? What difference would it really make? My thankfulness is one of the things that keeps me going. There are people scattered throughout the United States, as well as the world, who know the Gospel of Jesus because God chose to use me to show them. People have been encouraged and inspired by God reveling Himself to them through my victories as well as my struggles. People eat and have a place to live because God has provided me resources and has chosen to use me to bless them. God has taken the time to personally prove Himself worthy even though He had no obligation to whatsoever. In my appreciation I stick with Him, I talk with Him and I listen. When I have those moments that I feel like I can handle life without Him, I consult Him anyways. Because I am thankful, I take the time to figure out and do His work instead of my own. Because I am thankful, I limit my own gratification and direct those resources where He would have them go, so others might be gratified. And because I am thankful, I do my best to make sure God gets the credit. My journey and my real potential is known by God. Every job He gives me, no matter how impossible it may look, will succeed because it is His work. The only thing in my way is, well, me. Because of that I am called to be a better me. I wish I could do better at that, but I fail sometimes. My mouth gets me in trouble when I trust my own judgement. I get down from time to time. I am constantly tired, or sick, or recovering from surgery. But I appreciate what Jesus has done. I know He has taken a life that I have screwed up and used that life to reach other screw-ups. I have peace within my struggles. So I seek forgiveness and I seek to grow. I seek that path that has been created for me. It’s the path that leads home. For that, I owe Him; I owe Him everything, every hour of every day. As a family, we have experienced many of the ups and downs as well as many milestones that families encounter. One of these was when our daughter approached the time to ditch her “little bike” with training wheels and learn to ride her first mountain bike. There were two important problems standing in the way. Courtney, when she gets nervous about something like this gets hyper-scared and needs tons of reassurance to get comfortable enough to succeed. The other problem involved my inability to run from my spinal cord injury. I was unable to be beside her in a conventional way, to provide that assurance as she tried. The owner of our bike shop gave me some advice on how to succeed and we began a unique method. I removed the pedals from her new bike and just told her to push with her feet around the garage in a circle. I stood still in the middle and just watched her, carefully offering bits of assurance when needed. Progress was slow; we spent many hours over many days. But, as she got comfortable, she pushed faster and began to develop balancing skills, if just slightly. After some time at this, we moved to the driveway, with her pushing from one end to the other. Once again, many hours over many days coupled with assurance and patience slowly yielded results. Then, we began the process all over again, this time with the pedals on. Nowadays, she rides through the neighborhoods with me and soon, she will start the organized rides that I participate in. Eventually, she will out ride me with ease. Looking back it was an incredible process to be a part of. I am sad to think of all the time and energy I spent investing in things like laziness, pride, jealousy and the like. But I cherish the thought of all of the countless hours and perfect patience that God has invested in me despite my diversions from His will. It has resulted in a long term, changed life. It comforts and gives me confidence as I make my journey. It gives me the patience and persistence that is needed through trials and victories. It inspires me to invest, over the long term, in others, whom God can show Himself and His attributes to through me and my life. What about you? With Courtney I didn’t feel up to the task, but she needed me, my time and effort. Your family needs your spiritual commitment. 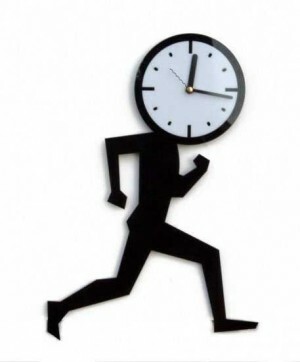 Your church also needs your time and effort. Your community, especially in times like these demands the Good News more than ever. You may not feel up to the task. But with patience, effort and a devotion to God through prayer and Bible study your family, church and community will also experience that long term change and growth which we are promised. It’s not always easy. But it is always worth it. 2015 has definitely felt like a year I would like to take a break from. What promised to be a life-changing knee replacement surgery turned into a different life experience when an anesthesia reaction and some mistakes in my care resulted in two huge sores on my feet which took 10 months to heal. Then, when I was able to walk again, a bone spur resulted in another surgery leaving me off of my feet for almost a year in total. My plans for this year have been altered, to say the least. Yet I can take pleasure in the fact that I have a home, a wonderful family, I was able to travel and I was able to minister to others. What more can one individual ask for? Yet, my flesh does. I am sure I was a complaint-free delight for my wife to live with the last couple of years…I am sure I didn’t give a good enough effort for others at times. I am sure I felt sorry for myself, wondering why I had it tougher than others around me. He has given us the ability to choose a path. Since the beginning, the world has chosen the wrong one and we live with the consequences of a sin filled world. Yet, should we accept His free gift of life eternal with Him in Christ, He will guide us through this world and in the process use us to help others to receive this gift. I completed my first week of physical therapy 2 months after knee replacement surgery. My feet still have some healing to go but I am far enough along that I can begin to train my leg and hip muscles, which have a long way to go to be able to return my walking ability to five years ago when it was much better. In reality, the therapist asked me to do spectacular feats like sitting with my feet on the floor flexing my ankle, raising my toes off of the ground for three sets of ten, or, raising my foot off of the ground and locking my knee for two sets of ten. Meanwhile, a well-meaning seventy five year old woman (I asked her later in the day) came over and tried to encourage me by telling me she had been in my place and it would get better. And….that was the moment that it ceased to be fun and became work. One week. Great. Do you ever feel that way when you try to change? Whether we are trying to change our health or deepen our relationship with God or trying to break a habit, at some point our motivation is challenged and it becomes hard. It reminds me of a Bible story I love, the Parable of the Persistent Friend. Persistence is vital for my rehabilitation. I have big goals for the next 6 months. I have to start at the bottom and work my way up. No matter how boring or hard it becomes I can't give a half-hearted effort. You must also. It will seem like I am making little progress sometimes. It will for you too. In this passage of Scripture, although the word picture Jesus paints is of a person who bothers a friend in the middle of the night for some extra food until the friend gets up just to be done with him, Jesus is not saying that God is like that; doing His own thing, but if we bother Him enough, He will help us just to shut us up. God cares for us a great deal, on a personal level. Rather, Jesus is saying that God’s timing is good for us and His purpose; sometimes we need to be patient and persistent. In my example, I have many small muscles in my legs that are partially paralyzed. They require a lot of isolated work to make small strides, so I have to do months of what seem to be silly exercises. But it will get better. Also, verse 13 of that passage tells us that the Holy Spirit is a gift to us in our time of need. I pray that I make good use of that gift by my prayer and study. It is important for me to stay close to God; to speak and listen, to study and see where He is leading me. God will help me. He will lift me up when I need it. He will push me when I am not living up to my potential. He will slow me down when I need to be prudent or patient. He will do this for you too, if you will not ignore Him. I know where I want to be in 6 months. I know God, if He wills it, can take me much farther. I will stay persistent to that. You too can bring about change if you will stay persistent. I am now to the place where the work of rehabilitation can begin. I can start to strengthen my muscles (while staying off of my feet) to learn to walk normal again. There will be months of tedious work with slow progress. Within a few weeks, I will become frustrated because I am impatient by nature. I will not feel like I am up to the task and my self-esteem will plummet. I have done this too many times. I can say all of the motivational things to myself I want. It is going to happen and I can’t stop it. So I won’t. Instead, I will focus on something I can control…my self-image! How I feel about myself, or my self-esteem, changes from day to day and even from hour to hour sometimes. But my self-image or how I see myself is a more long term thing that controls every aspect of my life. If I don’t see myself as capable or worthy of recovery, it doesn’t matter how I feel about it. Similarly, if I see myself as capable, it doesn’t matter how I feel. I will succeed. But I need more than just a good self-image. I need a Godly one. It took a lot of patience but the Lord changed Gideon’s self-image. When Gideon finally saw himself as God saw him, Gideon had 22,000 men to take on over 120,000 of the enemy. God then intentionally cut Gideon’s men down to 300. But Gideon, as weak as he was, now knew who he was as God's chosen leader. So Gideon then proceeded to wipe out all 120,000 of them with God’s help. But that’s the point. You can be weak. God is strong. If you want transforming change, trust God. In the 1990’s I literally had 3 vertebrae pulled out of my neck and had pieces of my hip and titanium put in to replace it. 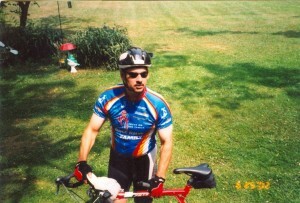 Yet months later, I was glorifying God by riding 180 miles across Oklahoma on a bike for Focus on the Family. I just believed God that I was a mighty man of valor and in many television interviews, I was able to give Him the glory and share the Gospel. We try to cut God out in any meaningful way and we try to motivate and build ourselves up by building up the way we feel about ourselves. Then when things begin to go wrong and the feelings fade, we fail. Instead, we need to change the way we see ourselves as children of God. We have all of the tools to overcome roadblocks that Gideon had. So, I am in a wheelchair now. Where could God have me in a year? What about you? That, to me, is so exciting. Things will change. I will grow. I may not always feel good about it. I will have bad days. I will have depressed days. Sometimes, I will feel horrible about myself. I will lean on God, family and friends to get through those moments. Feelings will come and go. But my self-image, or howI see myself, is defined by my God. He loves me. He sees me as a world changer. As long as I trust Him, I will not fail. Here it sits…..my old nemesis and enemy. This is my old wheelchair. I got it in the early 90’s. At the time, it was freedom for me. When I was in the VA Rehab system, after I broke my neck and was paralyzed, I had to be cared for. As time went on, they would put me in an electric chair that enabled me to venture out of my hospital room a little. 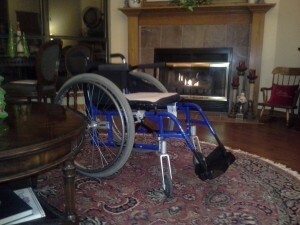 Then, I received a hospital wheelchair that I could, once again, venture into the hall around my room. Then, after I got out of rehab, I bought this activity chair and I could easily disassemble it, put it in my car and go where I wanted when I wanted to. But to me, it was still a curse; a prison that to me was a sign that I wasn’t healed. The day I got out of this thing I vowed I would never return to it. Getting out of it was a major component of my testimony. Around 1996, after I was walking, I gave it to another disabled person who couldn’t afford one, but he got sick and died before he was able to strengthen himself enough to use it. So, I took it to my church so we could donate it. But somehow it never got donated; it spent almost 20 years in our church garage, wasting away. About 2 weeks ago, it became apparent after my surgical complications that I would not be walking again for weeks if not months. I couldn’t spend that long in a recliner wasting away in my house. The wheelchair I had wasn’t made for action; I could push it around the house but that was it. It was too heavy for my wife to load, so I was stuck. Once it was in my house, I looked it over hoping it was broken and unusable. It had years of dirt, some missing parts and 2 flat tires. But remarkably, the expensive components were in surprisingly good shape. I cleaned it up, greased the moving parts and put some air in the tires. Then, after 45 minutes of wrestling with my own heart, I sat in it, just to see how it felt. Then, something incredible happened. After 20+ years, my heart had changed. I had associated it with some of the worst suffering of my life. It was a curse, a reminder of traumas that all could see. But now, it represented freedom. It relieved my current suffering and allowed me to resume a life that had been severely interrupted by surgical complications. But as I tried it out by stowing it in my mustang and going to the grocery store I realized there was much more that God had showed me. I had 20 years of walking. What if I was in a wheelchair again for the rest of my life? What couldn’t I do? The answer was, nothing. I could still serve God…I could still live a normal, independent life…I could share the Gospel maybe even better. The more I wheeled around, the more comfortable I felt. As soon as I returned home, I contacted the manufacturer and asked about parts. The chair had been discontinued years before, but the service rep told me I could still get parts until the end of the year, when they would quit making parts. So I gave them my shopping list and 6 days later it is, once again, a finely tuned beast. The nemesis that I thought back then was an enemy to be defeated was in fact, a friend given to me by God, that allows me to get out of my house and serve Him. It no longer bothers me to be in it; to be honest I don’t feel any different in it than I do walking. Don’t get me wrong…when my pressure sores are healed, I’ll be out of it walking again as soon as I can. But now, if and when I’m done with it, I’ll carefully store it away in MY garage, ready to go if God’s will asks for it. The truth is, No matter where you find yourself in your walk with God, no matter what is in the way, God is sufficient, or, God’s Grace will help your heart to look at roadblocks as growth periods. If you are with God and He is with you, tests are no longer an enemy to be feared but rather a friend that helps you grow and mature in Christ. That’s what has happened to me over the last 40 days. I have been physically challenged but my heart and relationship with God has grown even more. I am excited and happy. You can be too! I have rid myself, to an even deeper level, my association of my physical condition to the happiness of my heart. That fear is gone from my life. A wheelchair is no longer a curse to be afraid of. It’s my friend, standing by for all those years awaiting that moment when it could spring back to life to enable me to share the Gospel. And to experience growth and change that is what you have to do. Look at challenges to your walk with God as stepping stones that get you closer to Heaven. Even more, if you turn to God during these trials, really turn to Him, He will grab your hand and help you along that path with all of the love and grace that only He could have. Glory to God! The story of Alvah C. Roebuck (1864-1948) is an interesting one, all be it a sad one. Alvah Curtis Roebuck was born on January 9, 1864, in Lafayette, Ind., of English parentage. When Alvah was three years old, his family moved to a farm about five miles outside of Lafayette. It was there that Alvah attended country school, and his mother took over the family farm when her husband died in 1876. At an early age, Alvah showed a great interest in mechanical things, and at 16 he was already a self-taught watchmaker. When he reached 22, Alvah secured a position in a small jewelry store in Hammond, Ind. The following year, impatient to get ahead and earn more money, he began scanning the help-wanted sections of Chicago newspapers. He met a man who was a railroad station worker, whom had received from a Chicago jeweler an impressive shipment of watches which were unwanted by a local jeweler. The railroad agent purchased them, then sold the watches for a considerable profit to other station agents, then ordered more for resale. Soon he started a business selling watches through mail order catalogs. The next year, he moved to Chicago where he met Alvah C. Roebuck, who joined him in the business. Farmers did business in small rural towns. Before the catalog, farmers typically bought supplies (often at high prices and on credit) from local general stores narrow selections of goods. Prices were negotiated (by the man of the family), and depended on the storekeeper's estimate of a customer's creditworthiness. 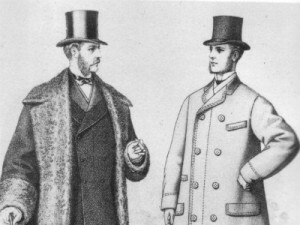 Roebuck and his partner took advantage of this by publishing catalogs offering customers a wider selection of products at clearly stated prices. The business grew quickly. Their first catalog was published in 1888. In 1893, they renamed their watch company and began to diversify. By 1894, the catalog had grown to 322 pages, featuring sewing machines, bicycles, sporting goods and many more items that the rural community could buy through the mail. The company had sales of $800,000 in 1895, but a full scale depression and panic in 1895—caused a cash squeeze and large quantities of unsold merchandise. Roebuck decided to quit and was bought out by his partner, Richard W. Sears, who made the company one of the largest retail stores of the 20th century. Roebuck later returned, but only in a publicity role. He missed the massive fortune, Sears was to create for the next 100 years. When we commit to change and growth, we are often instructed to be patient and wait upon the Lord; but that doesn’t mean a passive patience. As we see in Hebrews, endurance, is used. That is an active patience. Keep moving, commit, grow and trust the Lord. I have committed to change in the form of major surgery. I have had setbacks. I will persist. My feet are healing and I will come back. Stronger in the Lord. Life is good. I am feeling better. I am a week or two from walking again. I will endure. I am so thankful! Praise God through Jesus Christ. I could have been bitter. I could have blamed people for screwing up. Spending 30+ days housebound is not easy. I could have sued for a large chunk of cash. I could have quit. I had to decide; is God in charge or not? He is and He is with me! I can glorify God through this. That’s what I choose to do. Actively endure; spend time in prayer and study. I am growing and changing. That’s what I want to do. Be a vessel, although maybe not a perfect one at the moment, that God can use. Do you persist? Are you pushing through the hard times? Or, are you an Alvah Roebuck who sells out when the journey gets tough? Don’t miss out on what God has for you! Twenty days, problems and I have yet to stand on my feet. Someone has done a horrible job, Ten minutes of basic nursing bed management has caused what could be a 3 or 4 month problem. Just spent a panicked night at Mercy ER because my knee doubled in size within an hour or two. Mercy double checked and found nothing serious. I will make it until I see the surgeon on Tuesday. Angry and frustrated and a little depressed....you bet. This is where things usually go off the rails and the wheels fall off. I have spent 3 weeks, suffering and unable to proceed in my rehab. If they get infected...the options become worse.. I am not the best patient, I freely admit that. I could definitely call an attorney friend of mine and score a huge payday for everyone involved. But is that part of the solution or part of the problem? Somewhere, nested in the excuses and blame shifting among medical people I have claimed to be different; a changed man, a man growing in Christ. . I even was wearing my Aydlotte shirt in the Emergency room. It got looks. But I no longer belong to myself but to Christ. I have frustrations and anger. I am sure someone is nervous and people are scrambling to disavow any responsibility. But I am different now. Human justice looks different. When I am trying to grow and change and something happens that totally screws it up, It is a true trial. Could I get a half million for what they did…easier than you think. Will I…no. That’s part of a problem, not a solution. I have a chance for them to see Christ. Greed and revenge is part of the problem. Serving Christ is the solution. Not always so easy to do, but my spiritual physician is much greater than that. Before I knew God (late 1980’s) I was in a long term care ward at a VA Hospital in Memphis Tennessee. My life was a mess. I could not take care of myself. Everday I was given massive doses of morphine and valium and just waited. The most traumatic part was in a ward of about 20 men with similar injuries. One or more died a week. Many times it happened on weekends, when let’s just say, attendants just wanted to be left alone and I know of 3 people who died because something went wrong and the staff was too intoxicated or whatever to help. So I sat, in their room and watched them die. Later, we heard an “official cause” but I knew it wasn’t the truth. And there was no one to tell. Just get zombied up on more drugs and hope you’re not the one to get sick at the wrong time. These people were our heroes, from Viet Nam, and other times. They were helpless and it traumatized me greatly because I couldn’t help. They were tossed aside like yesterday's trash. The same military they gave everything to, turnd their back on them and it made me sick and very bitter. Good people, who tried to make a difference were ground down by the system until they just couldn’t help. Get an inspector in and we were prettied up and “what problem” There was a secret outdoor deck, for the long-term spinal cord patients where we hung out. It was our safe place. Will the system ever get fixed? I’m doubtful. But where is my retaliation? I have prayed for those guys and I hope God has spoken to them as He has me. My representatives in government hear from me regularly about it. And the veteran’s groups whom I won’t name, said they would get me money and that was it. If anyone ever wonders why our enlisted men are heroes, take the time to ask me. I can tell you. Back to the present; I need them to see God. God is Sovereign in my life right? People need to know it. You can minister the Gospel anywhere. And I tried. I learned more discipline. Spritually I am growing through this. What a blessing! Does anyone else feel so blessed that God will use you in your time of need to comfort others? I wish I was better at it. One of the cool things about the Sisters of Mercy at Mercy hospital is they get things done. They are quiet, in the background mostly, but they are different and you know it as soon as you encounter them. They serve God and you just forget about everything else when you speak with one and after a few kind words with them actually listening to you, you are changed. They change hearts and minds, much more than any of the social media rants I watch with sadness. I want that. I pray for that. Anyone who knows me knows my mouth is not my friend. I’ve been priviledged enough to have many conversations with them over the years and they are different. I strive to be that person…do you? I am going to rise above this mess and take it to the God who can fix it. I choose to love. Being isolated for long periods of time is hard for anyone. It is also hard for me. But my knee is healed and my feet are healing, and I am so thankful for your prayers and support! Hopefully it won’t be too much longer. Sometimes, my favorite thing to do is to sit and listen to people. I Love to sit somewhere and listen to someone whom I don’t know talk about their life and experience. Not just why they think something. But, how did their life and their family and their experiences bring them to where they are at that moment. Non-Christian, fine! Political views, doesn’t matter. Old, young, great. Listening to their life experiences and what brought them to where they are in life fascinates me. Sometimes, I hear pure stupidity. That’s okay. But surprisingly, not as much as you would think. I realize what a blessing this is more and more every day. I wondered where I learned this. Growing up, I spent many days on my aunts front porch in Runa, West Virginia, in the 60’s and 70’s . I didn’t realize what a blessing it was then. Picture a single lane road running for miles back into the mountains of rural West Virginia. As you climb the gravel switchbacks for a good 5 miles, all of a sudden, at the top of the mountain, a small community of about 200 opens up. There is a general store with a post office, a one room school house, a little farther across the ridge was a small church with a cemetery and a small dirt road that went down the mountain to my family’s farm. Sadly, most of it is gone now. Many times, when I was there, I hung out at the general store / post office, which my aunt ran. Everyone came there, every day, to the post office to get their mail and swap stories. That is where I learned it. People loved to congregate on that front porch and talk. I really had nothing to contribute, but I could listen. I learned the history of my family and the area. I learned about why people chose the political views they had. I learned why my grandpa was damaged by mustard gas in WWI. I learned about WWII and Korea and Viet Nam not from a book, but from people who had been a part of it. I learned the real secret of why America was so great. I learned about why, in some ways, America wasn’t so great. Sometimes I just heard things because I was bored. Sometimes I listened. I did the same thing with my Grandpa in Salem, Ohio. Sitting on a bench in town getting to know people. It helped me to see why racism was so bad, and just how hard black people still had it in the 60’s, 70’s and 80’s. I heard how women were still mistreated and why. The most important thing I learned is there is a world of difference between hearing and listening. I think listening is more of a selective art nowadays. We form a viewpoint, usually from someone we have heard or something we have seen or read somewhere, and then we spend our time trying to make all of the information we process fit through that filter. Maybe it’s a political view; maybe it’s a Biblical view. It is called Eisegesis and it is the wrong way to learn and, in my opinion, is the cause of at least some of the problems we have today. To live life this way all you have to do is hear. Selectively find the famous or educated people from days gone by and start quoting them and there you go. Leave out the things that don't fit. Add a couple of statistics. Put in some emotional quotes. Then, you can argue with the best of them on social media. Google will support any position you can come up with. People do it with the Bible all of the time. The opposite is Exegesis. It means, to read the text and draw out the meaning according to the context that the author represented along with it’s discoverable meaning. It is much less used because to do this you have to do much more than hear; you have to listen. It is hard because we all have biases and preformed notions we carry with us. You may ask, ”What does this have to do with change and growth?” My response is, “Everything!” You will never change and grow as long as you are just hearing. When you do this, you are busy forming a response or excuse in your brain, you disregard it because it doesn’t fit into your eisegeical view of the world. And, whether you realize it or not, we treat God, many times the same way. One of the things I was blessed to see during all of those interactions was what not to do. I would see someone spouting a view and could see what a failure their life was and I could say, “Okay, there is what not to do.” I had gotten to know these people; where they came from and how they got where they were. And the opposite was also true. People who were a good example, I could see who they were and it made the work they put into life make sense. Listening instead of hearing does much more. You learn those people around you. 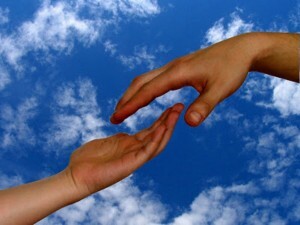 You see their needs, their strengths and you don’t need to ask them how to help; you already know. God places people around you to help you. We don’t hear God, because of a bias or arrogance, and we choose who we listen to when God may have a whole other plan. But, we love our righteous anger, don’t we? If you are unwilling to sit down and listen, not hear, you are foolish. I probably fit into that group. Listening is where wisdom comes from, not hearing. That is why you have to get to that deeper level, especially with God if you ever want to grow. Knowledge comes from man, wisdom comes from God. Period. I have mentioned I have had a major setback. I have shared some detail. In the interest of being totally honest, which I said I would at the beginning of this endeavor, I feel I must share the good and bad. This is hard and new to me because I am used to keeping certain parts of my life very private. I am trying to talk about things I have never talked about in the interest of sharing how hard growth and change can be. I have pressure sores on each of my heals. They came, not from surgery, but from spending a week in bed from a bad anesthesia experience flat on my back. It could be serious. I am hoping it is not. But I can’t do any walking until they are healed. Fortunately, my knee feels fine. I think I would be walking close to normal if this hadn’t happened. My 42 staples should come out tomorrow. I am overwhelmed by advice and opinions from different professionals. My wife saw a lot online when she looked. But I have an edge. This happened back in 1989. I was not taken care of back then and developed a huge pressure sore on my left foot. It took 5 or 6 months to heal. I know what worked and what didn’t. Disappointed…yes. mad….yes…blame; it’s not helpful right now. Is God Sovereign or is He not? Is He with me or is He not? He is still here...He loves me...I am never alone. I got through it in ’89…I’ll get through it this time. I am so fortunate to have the filter of experience to listen to the medical people. I know bad ideas when I hear them. I can be active in my treatment. I am not panicking. I have a group I can depend on to pray and to serve. It is so much more than I had back then. Did I mention change and growth was messy? Things can go awry when we seek to grow with God. Satan wants to get us sidetracked. Politics, philosophical issues, doctrinal issues, all seek to divide, to convince. Right now we are a world of extremes. Provocative wins the day. We want to be seen a certain way. In my next post, I am going to share what I think is most important. Sitting for days and most likely for days to come, I have been able to reflect and pray and think. Will you listen? Not hear, but listen? It’s a great story! My race has definitely taken a turn to more difficult. Physical challenges I can handle, usually. Satan knows this too. So instead, he hit me mentally. Complications from anesthesia left my mind clouded, unable to form complete thoughts. My body was not firing on all cylinders either. I should have been standing. Instead, I couldn’t coordinate myself enough to move in bed and couldn’t explain the problem. Honestly, it was disappointing and a little depressing. It wasn’t unheard of; just unexpected. Surgery, for my autonomic nervous system is a roll of the dice sometimes. So what do we do? When we undergo change, there is always the unexpected. Satan is always standing by with that spiritual stick, ready to poke us at the worst time. The principal is the same for all of us. We go back to the basics; the Word of God and prayer. When I start an exercise and nutrition program, I don’t put out a lot of effort for the first couple of weeks. I am not trying to change the world. I don’t get myself all motivated and worked up and try to get in shape in one month. Many times, just for fun, I may do something like attach my bike to a stationary trainer on the back porch and eat some chips while I set on it and watch some TV, pedaling slowly. If I do ride, it’s not hard or far. Instead, the first couple of weeks, I have one goal. Get on the bike. No time limits, no distance goals. Just get on it. I have to get on it every day. The 3rd week, I begin to increase limits and intensity and so on. This is deliberate. 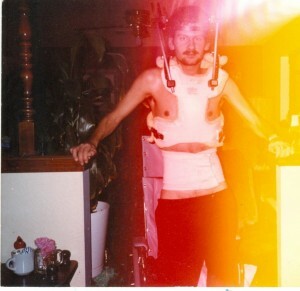 It goes back to when I was discharged from the rehabilitation hospital in 1989. I was weak, walking with a cane and I didn’t know where to start. I knew a man who was a famous weightlifter and I went to see him at his gym. Looking me up and down, he was a little doubtful about my intentions, but as we sat and talked about my goals he told me to look around. There was a variety of people; some in fantastic shape, others not so much. He focused on three. They seemed to be out of shape and had returned to the gym to return to their “former selves” whatever that meant. They were working out hard and yelling and high fiving and really working up a sweat. And he was right. After a month, they were all no shows. I, rather embarrassed, worked out with my light weights for the first 6 months. At first, all of the “pro’s” would just look at me, but over time, as they saw I was serious and coming back every day, befriended me and started to help me. It wasn’t the amount of work I was putting in, it was the commitment. I showed up. Over the next 6 months, I slowly increased until I was bench pressing around 200 lbs. and squatting around 500 lbs. I never forgot that advice; it applies universally. Most people start out change with a bang. Then after a few weeks or months it begins to get difficult and they just quit. So instead, I start out with a whimper and focus on the 2nd through 8th week and really battle then. That is how all of my successful change has come. It is fair to say right now I’m a little scared and a little depressed. It’s okay. It’s normal. I am in the Word and I am in prayer. What a wonderful place for God to lead me. I show up with Him and He is doing all of the heavy lifting that I can’t. My word for you who are doing this with me, (there is a surprisingly large number) Start out slow and be realistic. Unless it is some destructive behavior that needs immediate attention, take small steps. Understand you are going to hit a wall. Without getting into too much detail, it is common belief that you need to continuously do something for around 21 days before it becomes a habit; I believe it is much closer to six months. Then, your subconscious mind begins to take over from your conscious mind and it becomes a habit that you want to do. Remember if you are making a life change, you will reap the benefits for years and years. Don’t try to win your race in a week. God will bless you! Be persistent. As you know I had knee replacement surgery a few days ago. And anytime I undergo surgery I can experience complications that other people don’t have. I have had complications from the anesthesia, I think. My brain is finally starting to clear up, but in the meantime, I have been transferred to a rehab facility so for today, please excuse me if I post John’s description of heaven. That was helpful in my study this afternoon…Sometimes you just need to remind yourself about your true home. It helps me to feel better about battles I have to fight in my body on earth.